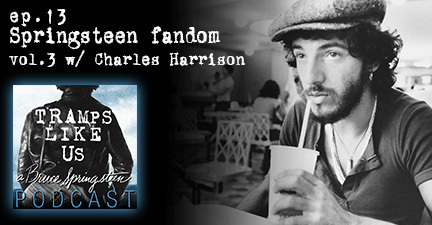 Charles Harrison joins me on this episode of the podcast to discuss his Springsteen fandom. We talk about the new tour, the future book, new album and solo tour, and get into a few top 5 lists. Enjoy!